Well, I don’t really want to see Swanson/Aldo 2, because while I don’t think it will go down exactly the same way, but Jose will win. Still, Cub has a point here: Jose needs to move up and fight for the lightweight title or have Pettis come down. Seriously, something needs to get figured out here. 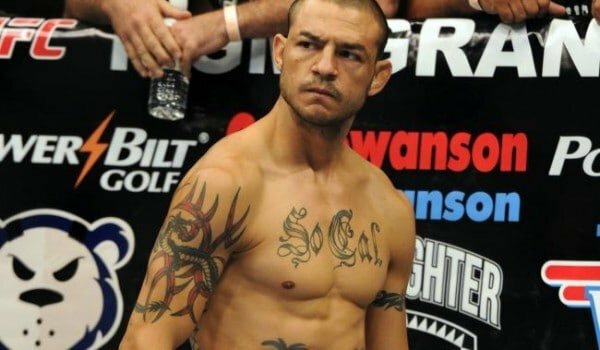 Either way, here’s Cub Swanson, talking to Bloody Elbow about his frustrations with sitting on the sidelines. I don’t know where I go from here, to be honest. I’ve been having to answer the ‘Hey, when’s your next fight?’ thing for seven months, and I just keep saying that I don’t know. I was pretty…I don’t want to say irritated, but they kept telling me after this fight they’d have an answer. Now, with all this superfight talk, it’s all on Aldo and it’s kind of frustrating. I’d like some answers. If he’s going to stay or go, just do it already, so the rest of us can figure this out. If I was him, I’d just go. We’re all guys that want to challenge ourselves and be the best in the world. That’s why people love Randy Couture and B.J. Penn; they sought challenges in different weight classes to be the best in the world. 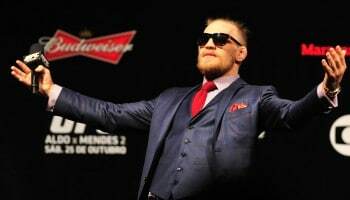 Dominating one weight class makes you a badass in the sport, but if you want to be a legend, you have to go to different weight classes and be dominant there, too. I’d heard he (Aldo) doesn’t want to lose his belt, and that’s why they’re saying catchweight and looking for loopholes so he can take the fight and keep his belt, too. I think that’s bull because that situation would hold us all up. If that’s the fight you want, man up and move up. If it’s not, then stay here and let’s fight.